5 May 2004: The prestigious Bertelsmann Foundation has followed up its survey of the relative attractiveness to business of German states with a second survey comparing the perception among the business population of how business-orientated the 25 largest German cities are. Leipzig, in former East Germany, was voted the best German business city, while Germany's traditional economic power houses, Frankfurt, Munich, Cologne and Berlin, will need to do better as far as German business is concerned. In the study of the states, the performance of the former East German states and the cities of the northern plains was relatively disappointing. Now, a change seems to be taking place. Firstly, Leipzig has grasped the opportunity of reunification to top the poll. It has always been famous for its international fair (Leipziger Messe) and was bidding to host the 2012 Summer Olympics. In second place, Bremen and Karlsruhe are on equal points, followed by Gelsenkirchen, Duesseldorf and Wiesbaden. Out of the first six, Bremen, Gelsenkirchen and Duesseldorf are cities from former West Germany while Leipzig is from former East Germany. In the survey, Leipzig is particularly impressive in the way it promotes business and in the performance of the city administration. At first glance, the poll gives the impression that all the cities are relatively business-friendly, but the real situation can be seen in direct comparison between the cities. 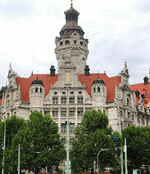 The top city, Leipzig, with a total of 2.73 over all the six assessment criteria, is only a few tenths ahead of the bottom city, Berlin, with a total of 3.19. However, on closer examination, there are significant differences. In Leipzig, the promotion of enterprise with 2.47 and the city administration with 2.87 were both best among all the 25 cities studied. In addition, the employers in Leipzig rated the politicians with 2.13 and the town council with 2.87 very much more business-orientated than the test average of 3.06 and 3.21, respectively. In comparison, Berlins business leaders scored the citys promotion of industry, with 2.79, and the city administration, with 3.64, significantly lower. Since all the other service institutions questioned in Berlin mostly scored below average, the bottom rank was justified. The Berlin banks came bottom, the city council 24th, the trades council and the employment exchange 22nd. Reinhard Mohn, who founded the Bertelsmann Stiftung in 1977, is one of Germanys richest men. He succeeded his father as head of the Bertelsmann publishing house and turned the provincial publishing company into Europes largest multimedia concern. Bertelsmanns early success was based on Reinhard Mohns idea to establish Germanys first book club. Today the book club still forms an important part of Bertelsmann and boasts a worldwide membership. 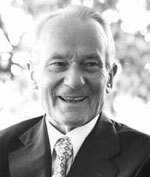 Reinhard Mohn was born in 1921 in Gütersloh, the home of Bertelsmanns headquarters.